Concolor fir is the most reliable and easy to grow fir for Nebraska. It has become relatively popular as a landscape tree and has also been utilized in some shelterbelts on favorable sites. The tree can be grown across Nebraska. It is relatively drought tolerant but does best on moist, well-drained soils. It does not tolerate wet and poorly drained soils. The tree is generally a conical, upright growing evergreen with a blue cast, resembling Colorado blue spruce. As it matures it becomes rounded and often forms multiple trunks. Firs have soft, flat needles while spruce needles are square and sharp. Concolor fir needles are 2 to 3 inches long, silvery-blue to silvery-green, and curving upward as they grow out from the stem. The upright cones are 2 to 5 inches long, oblong, olive-green to purple and are primarily found at the top of the tree. The bark is ashy gray and young trees maturing to dark gray-brown and deeply furrowed on mature trees. As with all evergreens, concolor fir provides good winter cover to a variety of wildlife, including many resident birds. A variety of birds eat the seeds. Firs are generally not favored by deer. Concolor Fir is used as construction lumber and is commonly grouped together with other species of fir and hemlock and sold under the more generic label “HEM-FIR.” It makes an excellent Christmas tree! It has a delightful aroma, retains its needles well after cutting, and has strong sturdy branches that hold their shape. Concolor fir makes an excellent Christmas tree! It has a delightful aroma, retains its needles well after cutting, and has strong sturdy branches that hold their shape. It can sometimes have problems with winter burn. The tree does not like to be planted alone on exposed sites. There’s safety in numbers and it’s best to plant firs in groups. The scientific name Abies concolor, means tall or rising tree with needles of one color. 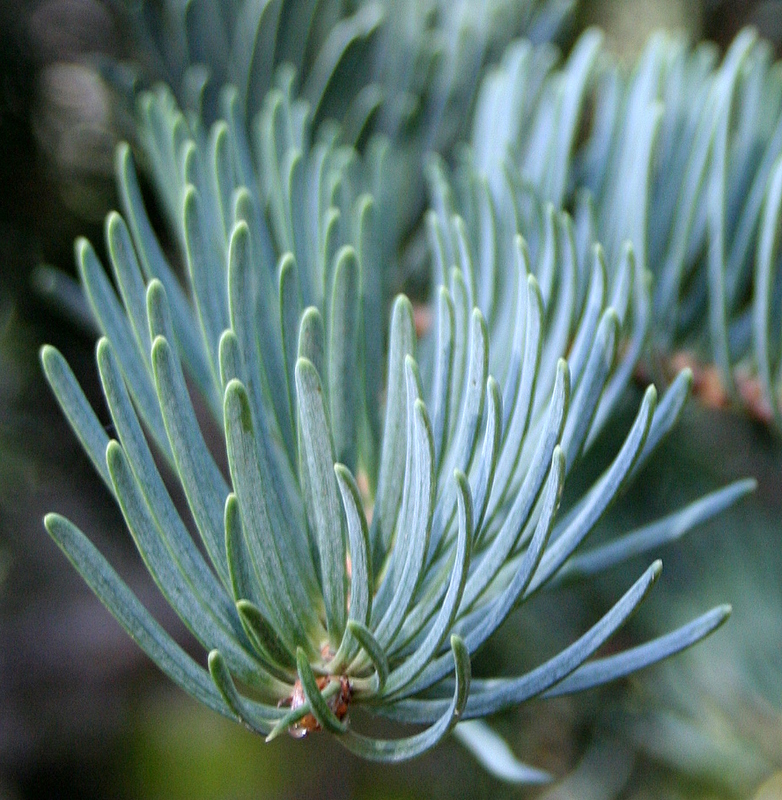 The alternative common name “white fir” refers to the white cast of the tree's needles. White fir is also called concolor fir using its Latin name.